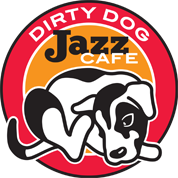 Three of Detroit’s most prominent drummers will be performing in the next few weeks at the Dirty Dog. Jeff Canady starts things off March 28-31, followed by Gayelynn McKinney and her McKinfolk project April 18-21 with Sean Dobbins and his trio closing out the month April 25-28. Jeff Canady is at the top of Carl’s list. He admires his unique style and that he knows how to set a perfect groove – intuitively feeling the pulse of the music. He especially admires Canady’s “signature” triplets and rolls, which are markedly fast and smooth. 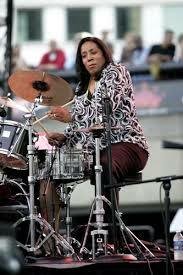 One of Detroit most prolific drummers, Gayelynn has played with Aretha Franklin, Steve Turre, Larry Coryell and others. She’s known for “going off the grid” as Carl says, with her innovative improvisations that often utilize the entire drum kit as she supports the music with a very creative approach to her rhythmic ideas. 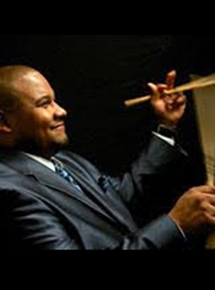 Note: We will be writing a piece in Jazz Notes in April about Gayelynn’s McKinfolk project and new CD on Detroit Music Factory and how they celebrate the musical legacy of the McKinney family’s contributions to music in Detroit. Stay tuned! 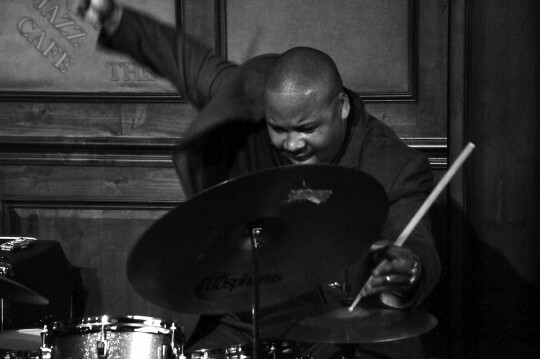 Sean Dobbins is a Detroit favorite and one of its most gifted drummers. “His playing is electric. He really knows how to work up an audience. 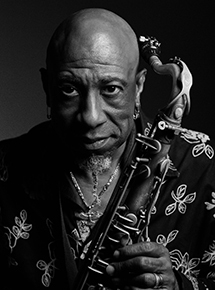 His solos are filled with rhythmic power and intensity and played with skill and precision. Skeeto is one of Detroit’s most experienced “go to” drummers. 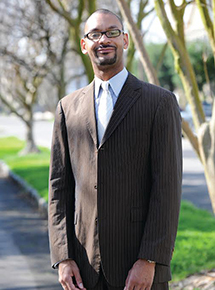 Carl is impressed with his versatility and knowledge of most styles from Bebop and Swing to Rock and Funk and beyond. He puts a lot of his personality into the music, making things more fun for the audience and the band. 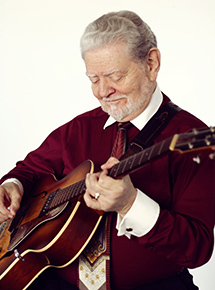 Doug is known for his work with Jazz clarinet virtuoso, Dave Bennett. Carl loves his playing, commenting “he’s cool and clean and one of the cleanest drummers I’ve ever heard. You’ll never hear him click his sticks. He’s flawless and relaxed, which comes to him naturally”. 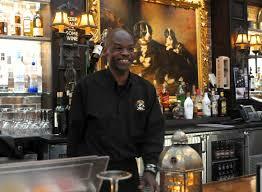 Carl is the one to talk to about the artists who play at the Dirty Dog. He hears every set from every band who plays from Tuesday through Saturday. That adds up to about ten sets per week of live Jazz. 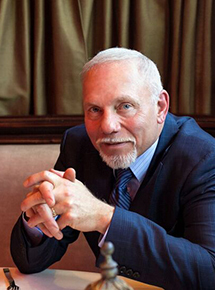 He’s an informed listener and fan of Jazz from “way back” and is fascinating to talk to about music of all kinds. 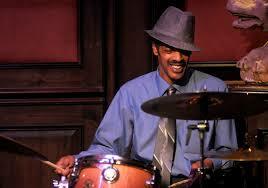 Detroit has been the home of some of the most significant drummers in Jazz history. They span the last century representing various styles from swing and bebop to fusion and avant-garde. These include legends such as Elvin Jones, Roy Brooks, Louis Hayes, J.C. Heard, Don Moye, Ali Jackson, Pheeroan akLaff, Frank Isola, Tani Tabbal and others. 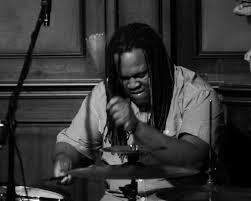 Some current Detroit drummers are getting worldwide attention including Nate Winn, Karriem Riggins, Gayelynn McKinney, Leonard King, Alex White, Djallo Djakate, Mahindi Masai, Renell Gonzalves, Jessie Kramer, Gerald Cleaver, Skeeto Valdez, and Sean Dobbins. Our Jazz Notes blog will be featuring the drums for the month of April 2018.